The Northern Knights faced off against the Canterbury Kings on Thursday. The Knights sailed to a comfortable 6 wicket victory to enter the McDonalds Super Smash playoffs. The Knight’s home ground advantage did the Kings no favours. They won the toss and elected to bat first. They quickly lost their two openers, Fletcher and McClure, scoring 16 and 10 respectively. This was after 6 overs. After this slow starts the Kings simply did not make a recovery. Nicholls scored a respectable 25 from 27 balls but it wasn’t till the appearance of Astle late game that we saw some fire from the Kings. Astle finished the match with 37 off 22 balls. The Knights on the other hand made a much more impressive showing. BJ Watling powered through 48 balls to make 52 runs. Brownly backed this up with 36 off 22 balls faced. The first wicket only fell after 62 runs by the Knights. This was BJ Watling’s second consecutive 50. He has played a huge role in the success of the Knights in this season’s Mc Donalds Super Smash. The biggest attack came from Astle and Johnstone’s bowling partnership. They ended the match with 2-21 and 2-24 respectively. Unfortunately this was not nearly enough to stop the Knight’s momentum, ending their match on 129 -4 with a little over two overs to spare. 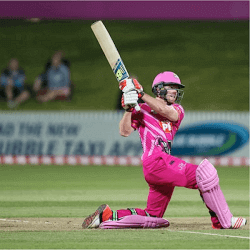 The Knights are facing the Wellington Firebirds on Friday with a home field advantage for the Knights. The matchup will take place at Seddon Park. The Kings are facing the Central Stags in Plymouth on Saturday, which should be an exciting match. The team teams currently have a 4 point difference with the Knights having chalked up one more loss than the Stags. The Stags also have a quite dominating Net Run rate of 0.845 compared to the King’s 0.109. The current Super Smash league table has the Central stags at the top with 5 matches won off 8 played. They are followed by the Knights who are only one win behind the Stags. They are on equal footing with the Kings and Aces, each having 4 victories to their name. The Firebirds and the Otago Volts are both bringing up the rear with 3 wins each. Thursday saw the defeat of the Aces by the Stags with a comfortable 64 runs. This year’s McDonald’s Super Smash has certainly been an exciting one. Despite losing their first T20 by eight wickets, Bangladesh has returned to following their 2-0 win for the Tests, and their 2-1 win for the one-day internationals. Captain Shakib Al …. The bowler who spun New Zealand to their incredible victory in their first Test against Pakistan has vowed to keep the pressure mounting on the home team ahead of the …. Top-ranking Pakistan have recorded a two-run victory over the New Zealand team in the opening game of the three-match Twenty20 series. After winning the toss and deciding to bat, Pakistan’s …. Sri Lanka has demolished England in the final part of this year’s five-match ODI between the teams, ending the series in a twist that many didn’t see coming. Niroshan Dickwella …. England are looking to maintain their one-day momentum ahead of the upcoming World Cup that will see the English team take on Sri Lanka in the first of a five-match ….